International sports journalist Patrick Rowley received the British Empire Medal for services to Hockey at a ceremony held at The Tower of London on Friday 4 November. Her Majesty the Queen’s Official 90th birthday Honour’s List was published on 10 June 2016. Patrick received his British Empire Medal on behalf of the Queen, by the Lord-Lieutenant of London, Mr Kenneth Olisa OBE and in the presence of the Constable General Sir Nicholas Houghton GCB CBE ADC. Patrick’s daughter commented:”Today was a very proud day for my father, for his family and ultimately for the sport of Hockey, which is finally being recognised as a sport that makes a valuable contribution to bringing together likeminded people globally. My father has worked tirelessly to promote the sport and this honour of a British Empire Medal, is truly a fitting tribute to his lifetime of dedication.’. Patrick (aged 82) has had a long career in journalism working for some of the world’s leading media organisations, at home and all around the world. He was employed for over 50 years by The Guardian in several capacities, was Deputy Sports Editor of The Observer and then worked for 25 years for The Sunday Times. Among the other media organisations for whom he contributed as a freelance were Dawn (Pakistan), Times of India, The Sunday Telegraph, The Daily Telegraph, The Times, Daily and Sunday Express, Daily and Sunday Mail, BBC, ITV Rediffusion,, Sky Sports, LBC Radio and international news agencies Reuters, AFP and Extel. His knowledge of the game is renowned and his encyclopaedic memory is called upon daily by sports desks worldwide. In 1964 he wrote the ‘Book of Hockey’ and for OVER 40 YEARS HE HAS BEEN COMPILING AN ARCHIVE OF Club, National, European and international hockey fixtures, results, the only complete existing archive of 65 years of hockey match played, won drawn, lost and goal scorers that exists. A valuable asset, archive and lasting legacy for the sport he loves. Patrick responded to his award by commenting: “My life has been dedicated to raising the profile of hockey. To be honoured for what I saw as a passion rather than a job, is beyond my wildest expectations. It has always been my ambition, to encourage the development of Hockey worldwide from grassroots to master’s levels. Part of my personal dream was fulfilled when Great Britain’s Women’s team dramatically won the Olympic Gold in Rio de Janerio this summer. I am truly humbled by this honour, when really all I have done is promote a sport I love”. 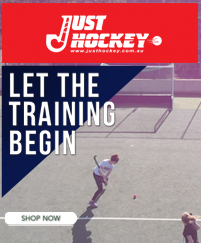 Patrick John Phillip Rowley (aged 82 years) has dedicated his life to the sport he loves – HOCKEY. His obsession with the game was cultivated at Aldenham School, when he was 7 years old. He quickly recognised the potential of this under-valued sport in terms of the transferrable skills it taught; teamwork, leadership, strategy, tactics, inter-personal relationship skills, people management, communication and most importantly the strong bond that the game fosters between players. Patrick spent most of his life trying to get hockey bigger coverage in the newspapers and the media. He started writing at seven years old, encouraged by his mother who said that he wrote beautiful letters as he was one of many children evacuated from London because of the war (World War II), he knew that that was what he was supposed to do – write. A keen player himself, he still plays hockey at the tender age of 82 (this year he helped the South Regional Veterans team win the Divisional 1 Over 75 tournament). All his life he has coached youngster’s, promoting the ‘healthy active lifestyle’, it’s skills, and ensuring that each one of them will grow up to be more rounded individual from their exposure to this team sport. It was these early years that shaped his desire to write about his ‘first love’ (Hockey) and to focus on forging a - poorly paid career promoting the game. Sports journalism was his vocation, at 16 he left school and decided approach the newspaper offices in Fleet Street, he secured a job as an ‘intelligent’ tea boy at The Guardian. Rowley worked for The Guardian newspaper for over 50 years, from runner, to assistants, to Sports Journalist, to Sport Editor. He has covered some of the most memorable moments in sport including Englands World Cup Win at Wembley in 1966 and also the most devastating moment - the terrorist attack non the Israeli Olympic team in Munich in 1972. He later enjoyed a stint at The Observer but spent most of his life as a freelancer, travelling and reporting on hockey across the world. 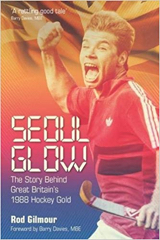 Formerly married to ‘The Nation’s Sweetheart’ Olympic Swimming Champion and World Record Holder Judy Grinham, he has two children, Keith Rowley and Alison Heeks( nee Rowley) both of whom have achieved success in the sport of hockey at International and County level. He now lives in Woodford Green, Essex, with his wife Elizabeth Rowley.